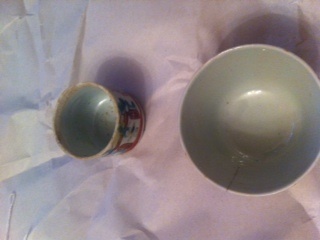 Found these cups at a thrift store but no absolutely nothing about Chinese ceramics. Could someone give me an idea of when they were made and their origin? I appreciate the help. 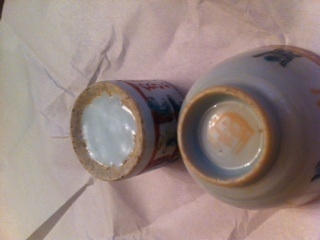 The two items seem to be late Qing dynasty. 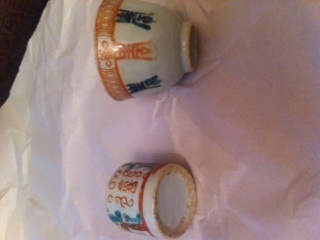 The decoration is not shown close enough with the larger cup, but this type of decoration has frequently a part transfer printed, namely the characters shown below the rim band. Not enough visible of the other apart from the bottom, which also looks like late Qing.